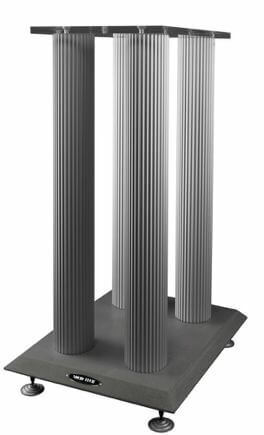 Implementing the same curved design as the Radius series, these speaker stands use much of the technology used within all the other Solid-Tech series. 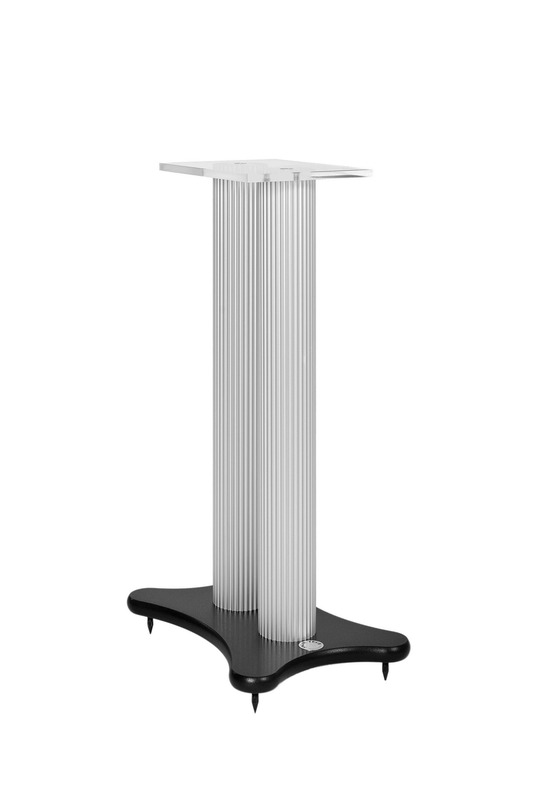 Radius pillars are made from the finest Swedish Aluminum extrusion and beautifully anodized in either deep black or satin silver finish. 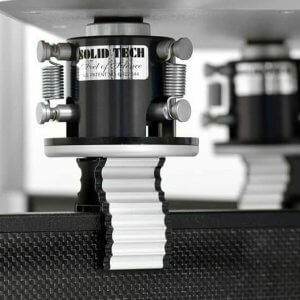 The choice of Aluminum and extensive internal bracing provides for a very favourable weight/stiffness ratio and a non-ringing design, making these stands not only aesthetically pleasing but technically efficient. So the only thing you hear is the music. 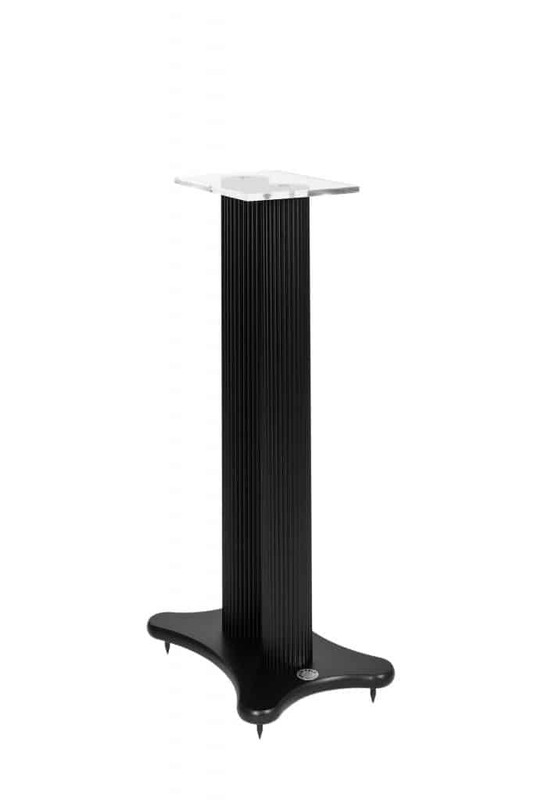 Solid Tech now also introduce a larger version of our loudspeaker stand. 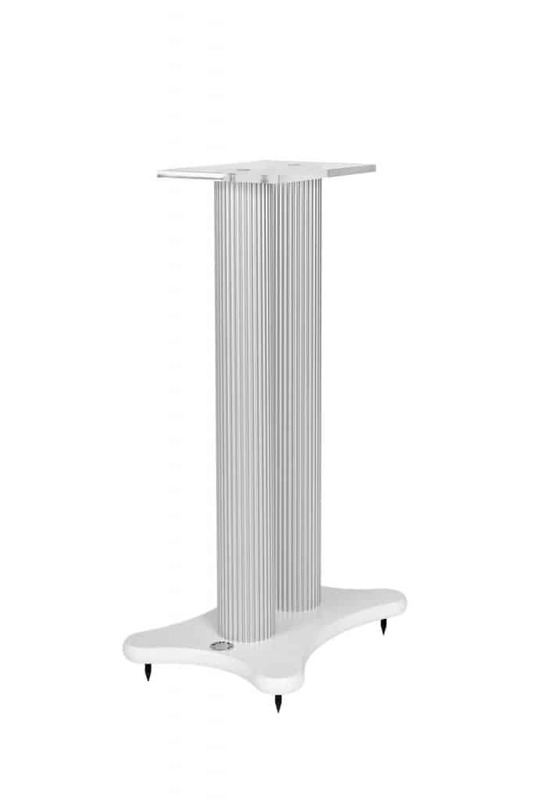 The stand has its foot made of concrete and has four aluminum pillars instead of two. 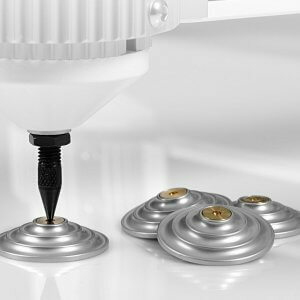 By filling the pillars with sand one will achieve an incredible stability to the stand. 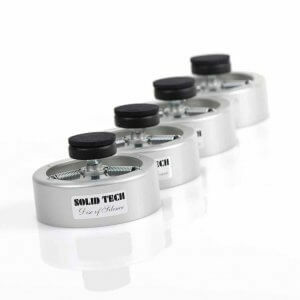 The stability will increase the richness of the sound and the base will be clearer. 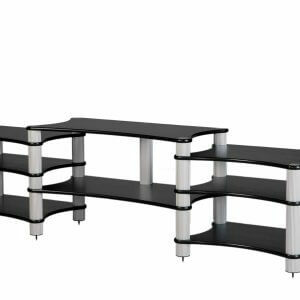 The stand is available in 2 lengths, 620 and 720 mm. With the addition of a new stand a new copper color is also introduced. The top plate has a dimension of 306x240mm. 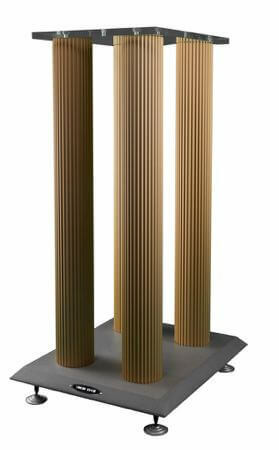 Upon request, Solid Tech can also make shorter pillar lengths.